It’s always a sad day when the last summer tomato is picked from the garden. There are several foods that simply “taste” like summer: watermelon, hamburgers straight from the grill, corn-on-the-cob, s’mores, fresh peaches and tomatoes straight from the garden. As much as I love crisp fall days, part of me is always sad to see summer fade away. Along with a fresh taste of summertime, tomatoes pack a nutritious punch. 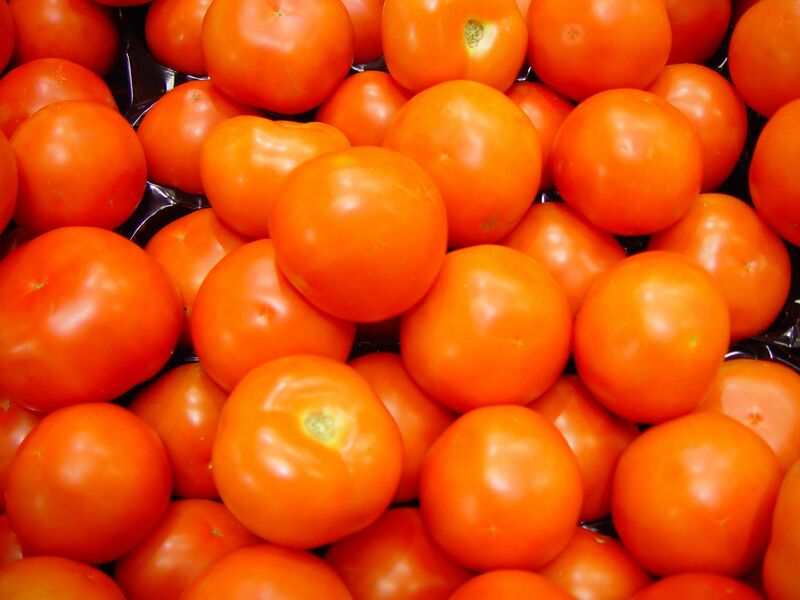 According to the USDA website, just half a cup of tomatoes provide 15% of the daily recommended allowance of Vitamin A, 20% of daily recommended allowance of Vitamin C, and small amounts of iron and fiber. Tomatoes have been the subject of recent men’s health reports linking the antioxident lycopene to protection against colon cancer. So make sure the men in your life enjoy tomatoes! 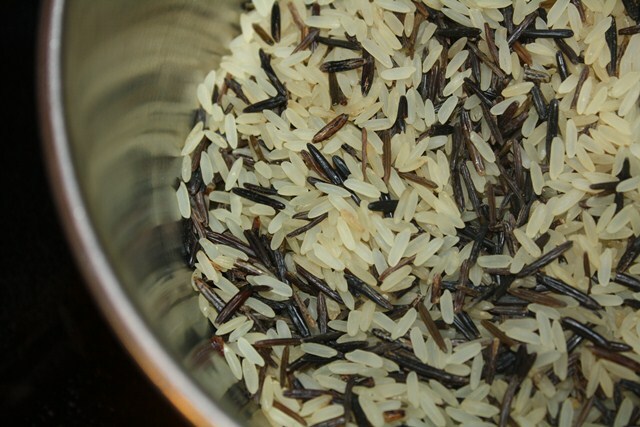 One of my family’s favorite recipes calling for fresh tomatoes is Tomato and Wild Rice Soup. Maybe the word “wild” adds to its appeal, for my kids (ha ha). Anyway, it’s from the cookbook The Six O’Clock Scramble: Quick, Healthy and Delicious Dinner Recipes for Busy Families by Aviva Goldfarb. Every time I feel stuck in a rut or can’t figure out what to make for dinner, this book saves me. My kids have all picked out recipes from time-to-time and numerous friends have borrowed it for inspiration as well. We have loved every recipe we’ve tried and have used them multiple times. In a large stockpot, heat the oil over medium-high heat. Add the onion, carrots and celery. Cook them until they are softened, 6-8 minutes. Add the remaining ingredients. Bring it to a boil, lower the heat, cover the pot and simmer for 30-40 minutes, until the rice and vegetables are tender. Remove the bay leaves before serving. If the soup is too thick, add more broth or water to thin it. Makes 8 servings. Nutritional analysis per serving: Calories 150, Total Fat 4.5g, 7%, Saturated Fat 0.5g, 3%, Cholesterol 0mg, 0%, Sodium 420mg, 18%, Total Carbohydrate 26g, 9%, Dietary Fiber 5g, 20%, Protein 5g, Sugar 9g. 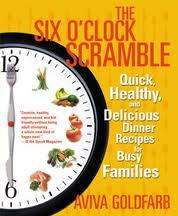 The Six O’Clock Scramble website including a link for a free trial to their subscription newsletter. Soup-er Easy Black Bean and Corn Soup – a free recipe from the Six O’Clock Scramble website. My family endorses this recipe as well! Homemade Tomato Paste – this link will take you to my friend Jennifer’s website, Fiesta Kitchens. She is an amazing cook and photographer (a powerful combination)! And this is a surefire way to use the last of summer’s tomatoes. Fun Facts About Vegetables – for the kids who love facts as much as my son! Can’t wait to try this recipe! And your sentiments about summer’s end mirror my own. Yet, I love the feel of fall air. Many thanks, Robyn – hope you enjoy the recipe! Great post and thanks for including my link! We just never have enough tomatoes around for the 11 yr old. She will even eat them out of a can in desperation. I’ll have to look for that cookbook. Surprised I don’t have it since I’m a cookbookaholic! Thanks Jennifer & I am shocked that I own a cookbook that you don’t! It is an honor to include a link to your beautiful website. Keep up the great job on Fiesta Kitchens! Such a great idea to freeze your extra tomatoes! I have to try that. So glad you are enjoying my cookbook, Karen, thanks so much for sharing it on your fabulous blog! Many thanks, Aviva, for your kind words! I am honored and thrilled that you took the time to comment. Keep up the great job with your incredible cookbooks! The recipe sounds great and we love tomato soup. I will definitely try it! Thanks for sharing it. I look forward to seeing more of your delicious recipes on here! Many thanks for reading the blog – hope you enjoy the recipe!